The national commercial radio listening figures paint a sombre picture of the final quarter of 2016, with declining audiences a common theme. Highlighting a lack of buoyancy, the latest Rajar listening figures showed a downturn for the major networks including Heart, Capital, Kiss and Magic. Of the five largest networks, only Global’s Classic FM saw any positivity in its quarter-on-quarter listening figures to 18 December 2016. The station’s 1.6% expansion took its average weekly audience size to 5.37 million, although the quarterly growth was not echoed when looking back a year – Classic FM’s figures fell by 2.8% on Q4 2015. 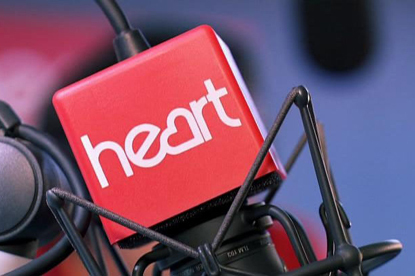 Although stablemate Heart retained its title as the biggest commercial radio station in the UK, with an average weekly audience of 8.95 million, this did represent a 1.7% fall on Q3, and a year-on-year drop of 2.2%. It also means that Heart – which announced a line-up of new presenters at the beginning of 2017 – has dropped back below the 9 million point after its return to that marker in Q3. Similarly, Global’s Capital network declined by 3.3% between Q3 and Q4, as its audience contracted from 8.06 million to 7.79 million – although it was up 3.9% year on year. In fourth place, behind Classic FM, Bauer’s Kiss network attracted just under 5.24 million listeners, a 3.5% decline on the previous quarter and 2.9% fall on the same time last year. And Global’s Smooth radio – which poached presenter Martin Collins from rival Magic in November to join the weekend line-up with Myleene Klass, Andrew Castle and Tina Hobley – managed to stay stable with a weekly audience of 4.75 million during the quarter, neither growing nor losing listeners. Despite the flat market, Global’s founder and executive president Ashley Tabor remained upbeat about its brands. "Global’s brands continue to lead the field, by some considerable distance, collectively reaching 24.4 million listeners across the UK every week," he said.